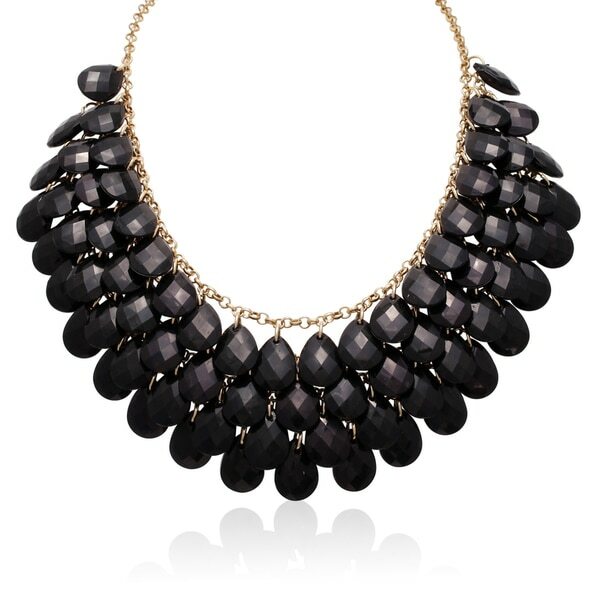 Featuring four rows of 74 exquisite pear shape black crystals, this eye-catching necklace makes a bold statement. The gold over brass complements the bold look of the black crystals for stunning sophistication. All weights and measurements are approximate and may vary slightly from the listed information. Treatment code E (onyx). See Treatment Guide for further information.